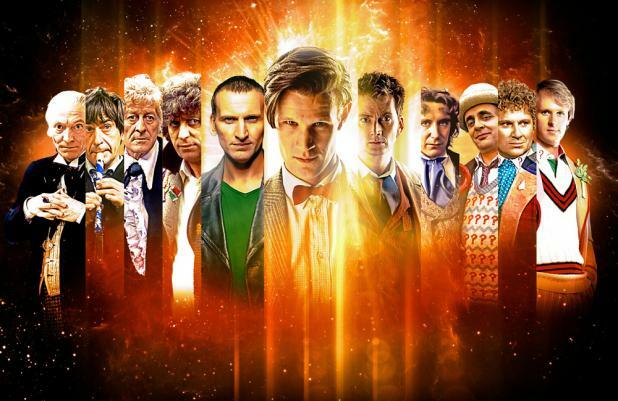 BBC Worldwide has announced a 'Doctor Who' 50th anniversary celebration this November. The sci-fi show will celebrate half a century since the Time Lord - currently played by Matt Smith - first appeared on our TV screens on November 23, 1963 and to mark the occasion there will be a special three-day event at the ExCeL Centre in London from Friday November 22 to Sunday November 24. Although details are scarce, the event will celebrate show's incredible history and the different actors to have stepped inside the TARDIS. Amanda Hill, Chief Brands Officer at BBC Worldwide, said: "We cannot wait to welcome 'Doctor Who' fans from around the world to London in November. It's going to be a spectacular weekend! "Generations of fans young and old have been captivated by the Doctor and we've seen the show go from strength to strength, enjoying something of a global march over the past few years attracting new followers from Turkey to Brazil to South Korea. 2013 is an opportunity for fans around the world to come together and celebrate the glorious past, present and future of 'Doctor Who'." In addition to the event, there are numerous other activities taking place to mark the anniversary, including a set of 11 'Doctor Who' stamps - featuring each incarnation of the Doctor - being released by the Royal Mail on March 26. Last month, the programme's showrunner Steven Moffat revealed the feature-length anniversary special, 'Doctor Who: The Light At The End', will be broadcast in 3D - the first time the series has been broadcast in the viewing format. Referring to the Doctor's TARDIS spacecraft - which is famously "bigger on the inside" - Steven said: "It's about time. Technology has finally caught up with 'Doctor Who' and your television is now bigger on the inside. A whole new dimension of adventure for the Doctor to explore."